Terrance: After a much delayed album, Officially Yours finally have a release date. Why do you think the time is right now? Demetria McKinney: (Laughs). I think the time is right now because now it happened, you know? I’m a Virgo and if anybody know anything about us we’re very analytical, we’re very particular, we tend to analyze everything and the person I was two years ago isn’t the person I’ve grown to be today as a woman, vocally as an artist, all of it. I’ve gotten a chance to be around some amazing artists and I’ve kind of gotten a chance to go through my own shares of heartbreak, love and growth and I think I wanted that to pour into the music because I have finally presented myself. The woman I am today being totally different from the woman I was two years ago is why now is the perfect time for Officially Yours. Terrance: Cool. So talk about the inspiration behind your latest single, “Is this Love”. 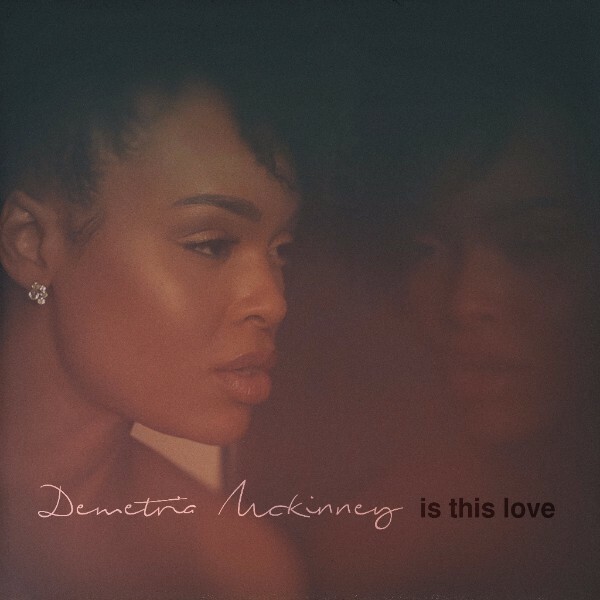 Demetria McKinney: “Is this Love” was inspired by some real stuff boy! (Laughs). Of course Robert Christopher that’s my boy, he play the love interest in the video as well as that’s his directorial debut. I think he did an amazing job on both parts but even though I’ve never had to nook nobody in the head like I did in the video or anything like that (laughs). it is inspired by the ups and downs of my real passionate relationship I had with someone very, very special and trying to figure out when we go through these ups and these downs and when we go through those moments when we are kind of intentionally hurting each other and then intentionally kind of loving each other, is that all what love is? Are those moments what we have to look forward to on the journey of love? And at the end I think it’s really cool that we asked, should he stay? So I wanted that video to provoke some thought and conversation with your significant other or maybe even your ex because we didn’t take advantage of remembering the good times instead we focused on that bad moment or maybe vice versa you’re in an abusive relationship and you’re just concentrating on the good but you ain’t paying attention to this black eye, so let’s look at all what love is and then make a decision, is that really love for me? Terrance: Got it. Switching gears to your acting. You star in Syfy’s new television series ‘Superstition’ which airs on October 6th. Talk about that role. 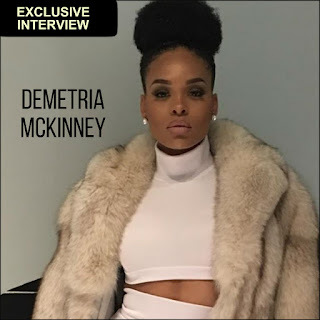 Demetria McKinney: Oh wow, Superstition is a totally different vehicle for me, not only network wise for audience wise but the role itself is so much more meaty than I’ve had to the fact I do my own stunts. There’s a lot of different layers I have with the relationship with people that I really haven’t explored in any other character before. So I play the role of May Westbrook and she’s kind of the reality in the midst of the sci-fi drama and thriller. She kind of try her best to keep the order but she’s also the human side of us that get caught off guard in the supernatural. It’s a really, really fun role to play and I love the dynamics that she share with everybody including Mario Van Peebles. Terrance: How did you land the role of Whitney Houston in the biopic chronicling the life and death of Bobbi Kristina? Demetria McKinney: I auditioned for that. Playing Ms. Whitney Houston was always, always the dream role for me and when the opportunity presented itself I approached it with fear and trembling, honey (laughs). It wasn’t anything I took on lightly or took less than serious, so when they called me with it, of course the elation was there, the honor was there, the thrill was there so it was the fear. It’s a really iconic character to take on and even more than that she’s the reason I am what I am musically. She inspired my voice, she inspired my music - a lot of it, so wanting to do her this justice was the biggest fear factor for me. Terrance: From your perspective what do you hope people learn from it? Demetria McKinney: From my perspective I hope they learn two things, that these were people. You know how sometimes you send a text message to somebody and it can be hard to read, how they meant it or what they meant. Were they mad? Were they smiling? There’s no damn emoji. You know I think with all the tabloid and fallacious stuff out there, people forgot that these were people behind these stories. We didn’t give them the opportunity to be human. We didn’t give them the opportunity to make choices and figure out how to fix them before we judged them. The other part of that is realizing the power of choice. I’m a huge advocate for that and not just talking about women choice and all that other stuff, but just choice in general. Free will is something that God gave us. It was just that powerful and Whitney and Bobbi Kris made the choice to love, to have hope and to have faith and there were some other choices, but I think that once you realize the choices they made, not that you might necessarily agree with them, you will get a better understanding of them. Terrance: Can you share any details on what we can expect from Tyler Perry’s House of Payne spinoff The Paynes coming to OWN TV? Demetria McKinney: You know more of the greatness that Tyler Perry brings. House of Payne was the thing that launched not only my career but a couple of other peoples as well and people fell in love with The Payne’s because they found themselves in each of those characters so I think they can expect to still find more of those characters and the newcomers in the show as well as well as us old heads as you would call it. It’s just more of the laughter, fun and faith and that’s exactly what his brand is and that’s exactly what we’re going to bring back to The Payne’s. Terrance: I know season 3 of Saints & Sinners is coming back as well. Demetria McKinney: Yeah boy! (laughs). I love that show. As we mentioned earlier, you know Superstition is great in that it deals with a different brand of spirituality but Saints & Sinners is awesome because it deals with the spirituality I grew up in. I grew up in a Church and I’m a Deacon’s kid so you know I heard all the little bad stories and bad stuff going on in the corner and who’s working in the club so I saw all of that and I think that’s the really, really special thing about this is that we confront those nuances that make our Churches and our faith kind of tested at times. I think that the real strength in the show is that these people come through it and overcome it and at the end of the day their faith and love for each other brings them back to the saints side after they’ve been a sinner for a second. So i’m looking forward to revising the role of Tamara Austin we don’t know if she’s going to keep the baby, Jesus what’s going to happen? We don’t know (laughs). Terrance: Any final words you would like to share with the readers? Demetria McKinney: Everyone can follow me on the social media outlet @demetria4real on Instagram and Facebook, @demetriamckinney on Twitter. I have to shout out #Demetrians and everyone who’s been rocking with me. Thank you to everyone who has pre-ordered the album. Thank you to the folks like you and RnB Junkie, just making sure the newcomers in R&B and old R&B continues to flourish and grow and be reintroduced each and every time so thank you so much.